Ok, so here is one of those products that I couldn’t resist trying when I heard about it. I have a weakness for sweets but I like them to be high quality and HannahMax Baking Crunchy Cookie Chips fell right into this category. 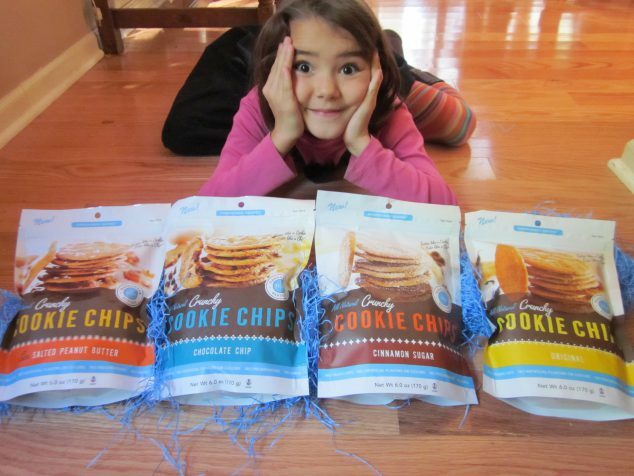 HannahMax Crunchy Cookie Chips are not just all natural, they go above and beyond. When I saw that they use cage free eggs in their cookies, I knew this was a product I would love. Still I was confused by what to expect, were they cookies or chips? Well, they are sweet so I have to say cookie is the correct category but they do “eat like a chip” because they are so thin and crispy. I have to tell you that this is precisely what makes these cookies dangerous! Just how many can you snack on? The answer is always one more! So, I suggest you keep these yummy, crunchy cookies for dessert time. 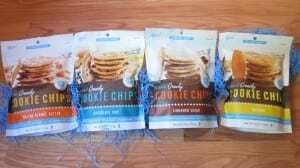 HannahMax Crunchy Cookie Chips come in four flavors so you can find just what you are craving without the preservatives and junk you get in many other store bought cookies. Cookie Chips are made using only whole ingredients such as milled cane sugar, rBST hormone free butter, cage free eggs, and pure bourbon vanilla. Cookie chips are free of artificial flavors, trans fats, colors, preservatives, or GMOs. Knowing they are all natural helps me feel good about having a little indulgence at the end of my meal and giving a few to my kids. My favorite flavor was the Chocolate Chip Cookie Chips. (Of course, since they have chocolate and I can’t resist chocolate.) They had a delicious brown sugar caramelized taste and little tiny dark chocolate morsels. 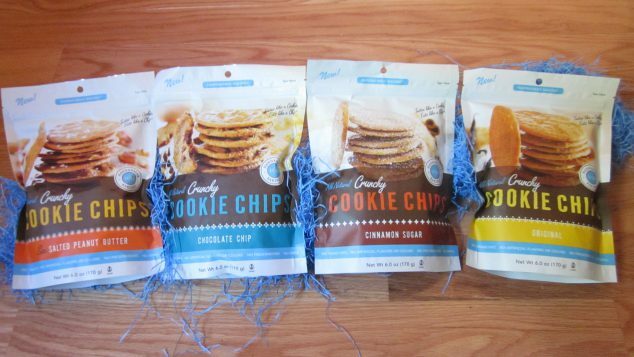 All of them were yummy though and each delivered a real burst of flavor in just one cookie chip! Cookies Giveaway Dates: GIVEAWAY NOW CLOSED. I was provided with the cookies in the hopes that I would share my honest opinions. I received no monetary compensation and the expressed opinions are my own. cinnamon sugar. Thanks for the giveaway. Definitely the Chocolate Chip ones. I am the original cookie monster. Any cookie to me is a good cookie.. The cinnamon sugar cookie chips look delicious. Sea salt peanut butter sounds interesting. I would so love to try the Sea Salted Peanut Butter! Cinnamon Sugar would be my top pick! The salted peanut butter sounds delicious to me! I think I will like the Sea Salted Peanutbutter, because I love peanutbutter. The cinnamon sugar ones sound so intriguing! original flavor- ummm brown sugar.. I would love to try all four. Give me Chocolate Chip all day!!! Sea salted peanut butter. I bet it tastes amazing! Sea Salted Peanut Butter sounds good to me. The Original flavor sounds good to me! Chocolate Chip of course. I’m a chocoholic from way back! CINNAMON SUGAR would be my favorite. Sea Salted Peanut Butter sounds great! Have to say I am a choc chip lover and these look great! Would love to try some of their other products too. Never have tried these but since Snickerdoodles are my fave cookie I would love the Cinnamon Sugar Crisps 😀 Thanks! I would like to try cinnamon sugar. I like Cinnamon Sugar, but I think Chocolate Chip is my favorite! I think I would like the Chocolate Chip the best. I am liking original flavor! The sea salted peanut butter seems amazing! I can’t resist chocolate either, so chocolate chip! Sea Salted Peanut Butter! YUMMY! I’d have to say Chocolate Chip!! I would love to try all of them. My favorite would be the Cinnamon Sugar but Ii think the Chocolate Chip would be my kiddo’s favs. Chocolate Chip would be my preferred, but I am curious as to how sea salt and peanut butter would taste in a cookie. I’d love to try Cinnamon Sugar! The Sea Salted peanut Butter Chips would be a flavor that appeals to me. Chocolate chip. Thanks for the giveaway. My favorite would be the Sea Salted Peanut Butter! Gotta go with Sea Salted Peanut Butter. Sounds amazing! The Chocolate Chip Cookie Chips sounds good!